The opening day was the 5th day of the 2nd lunar month of the 7th year of the An'ei era (1778), which was the 3rd of March 1778 in the western calendar. 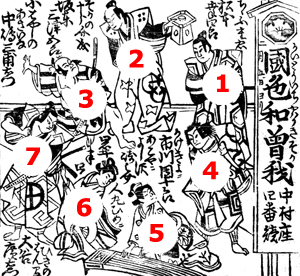 Nakamura Kanzaburô VIII, the adoptive father of Nakamura Kanzaburô IX, died the 15th day of the 11th lunar month of 1777. Nakamura Kanzaburô IX took this name in the 1st lunar month of 1778. 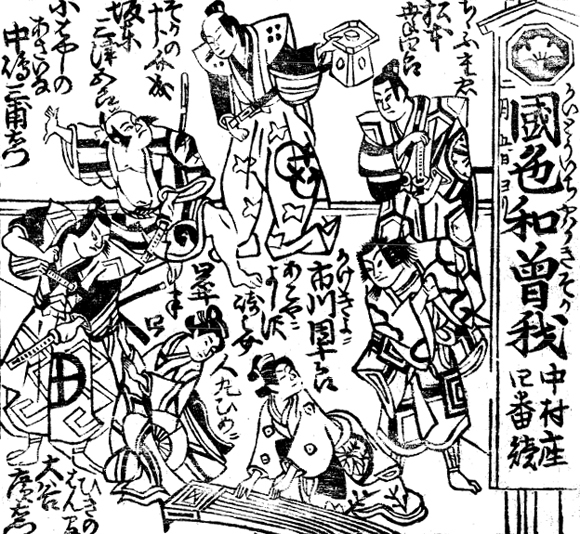 This sogamono was therefore his first official production as the head of the Nakamuraza.